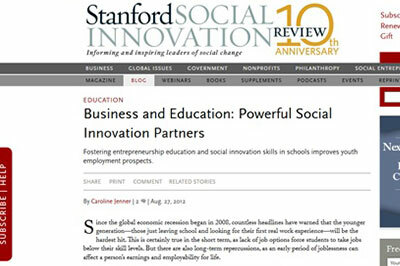 Fostering entrepreneurship education and social innovation skills in schools improves youth employment prospects. Since the global economic recession began in 2008, countless headlines have warned that the younger generation—those just leaving school and looking for their first real work experience—will be the hardest hit. This is certainly true in the short term, as lack of job options force students to take jobs below their skill levels. But there are also long-term repercussions, as an early period of joblessness can affect a person’s earnings and employability for life.